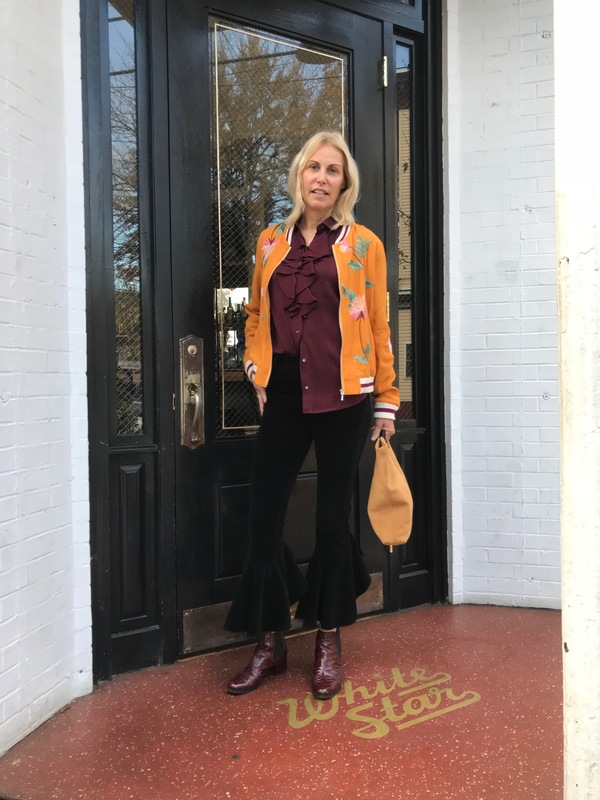 It’s finally Fall y’all, and that means colors like merlot (or burgundy or pinot) and mustard (um…don’t have a snappy variation on that) are on the fashion menu. And I think they are all deliciously beautiful. This look mixes ruffles high and low, not to mention my attempt at “ruffling” my hair. But there you go, sometimes you just have to go for it!